I'm not aware of any railway in this part of Sidmouth, nor what purpose it could have served if it had been there. Is it more likely to be either a natural formation, or possibly a bricked up cave? 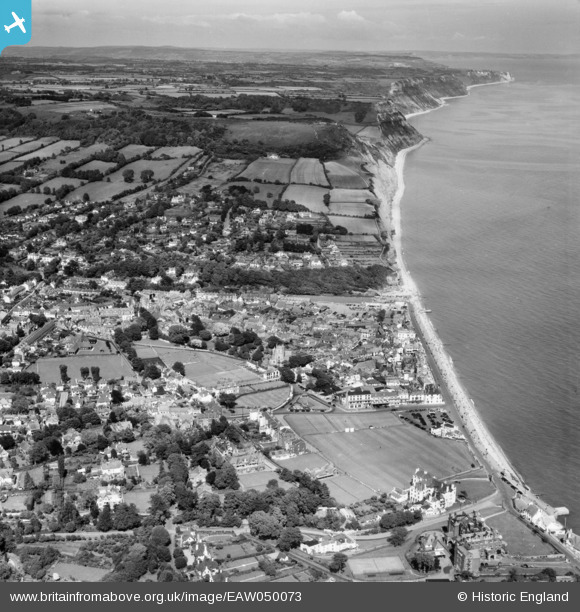 There's no trace in recent photographs of Sidmouth that I've seen - the cliff has been eroded in that area by storms in 2012, I understand.